Just because you can do something, doesn't mean you always should. Such is the case with designer Veronique Branquinho's latest industrial creation. 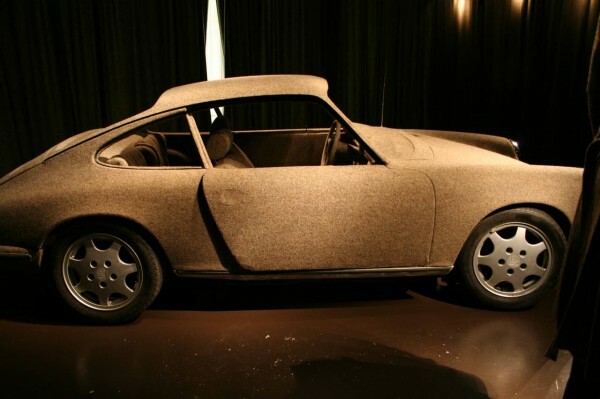 Better known for her upscale clothing boutiques, Veronique recently unveiled a Porsche 911 covered completely in tweed (inside and out) as part of an ongoing exhibition combining fashion and industrial design at Antwerp's Fashion Museum. Even though I don't like the idea of a tweed covered Porsche, I understand it as a design statement for an artist. Remember what Plamen Dejanoff did with a Cayenne? However, these next two cars leave me completely puzzled. This particular story has been around for a few years. I didn't understand it then, and I don't really understand it now. What I will say, is that the work on this car, done by the German company Visualis (make sure you have the volume turned down if you click on the Visualis link as their page is loaded with loud annoying music,) seems to have far superior craftsmanship then the next car highlighted below. But then again, what do I know? I've never plated anything in gold, let alone a Porsche. I only recently saw this story start to circulate and I'm not 100% sure on its accuracy or factualness. 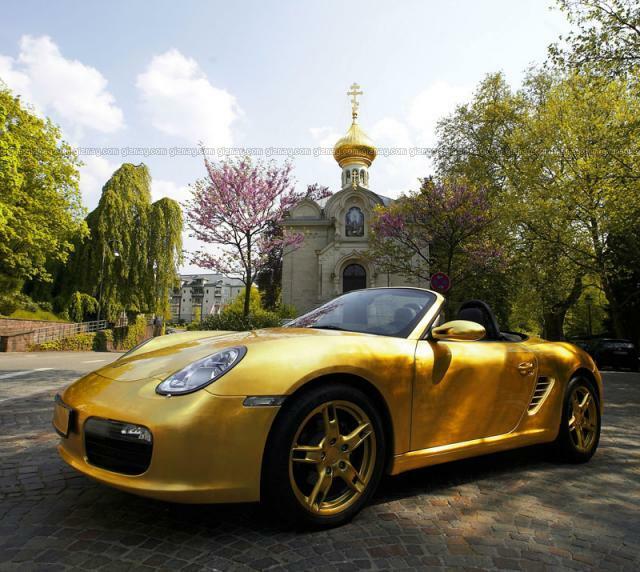 Supposedly, this Porsche 996 is covered in almost 40 lbs (18 kilos) of 18 karat gold and calls Russia its home. I personally find it hard to believe that someone would park a car covered in 40 lbs of gold on the street anywhere, let alone Russia. I'm sure you've all heard the many, many stories of carjackings and the like of simple stock Porsche vehicles. Imagine how quickly this one would disappear. As I said at the very beginning, just because you can, doesn't mean you should. What do you think?